Applications are hard work, but breaking them down into their component pieces and facing them one at a time can make the whole application process easier. Take note of any deadlines and then dive into the applications that are due soonest. 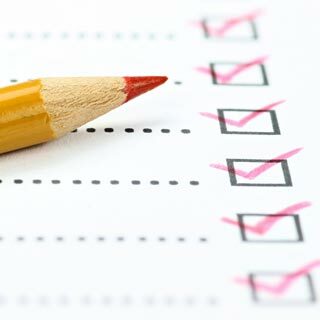 You'll be required to have your high school (and college) transcripts sent to your prospective institutions; have current teachers, professors, counselors, or employers write recommendations; and have required test scores sent as well. You'll also have to fill out the actual application, adding in elements from your résumé, write responses to provided prompts, and, possibly, interview. College applications are made up of many elements: test scores, teacher recommendation letters, transcripts, and, generally, an essay. First, gather the information required by every school to which you’re applying; this will make completing your applications simpler. Then, work on the individual elements: interviews, short answer questions, activities sheets, art portfolios, and writing samples. Make sure you complete your applications and submit all extra materials in advance of the deadlines. Application platforms are intended to make applying to college easier. Multiple schools use each application platform, so you may only have to fill out your information a single time and write a single essay to be submitted to all of the schools on your list. Your teachers and counselors can submit their recommendations through the platforms as well, further simplifying the process and reducing the likelihood of anything getting lost in the mail. Use the space allotted to you in a college essay or short response to showcase what makes you unique. This also gives you the chance to show that you can use correct grammar, write intelligently, and construct a detailed but concise answer to a question. 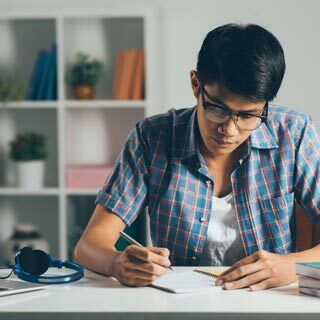 While short answer questions require specifics, personal essays can delve deeper into your personality, integrate humor or other emotions, and highlight things about you that may not be evident from the rest of your application. A résumé may not be specifically required for your applications, but it will make completing the extracurricular activities and awards section must easier. Your résumé is a reverse-chronological list of the jobs you’ve held, extracurricular activities you’ve participated in, and any awards you’ve won. It also includes your contact information, educational history, and any special skills that you possess. Most often used for job applications, it can also provide a snapshot of your life in high school to admissions representatives. Letters of recommendation give admissions representatives a sneak peek into your life as a student from the viewpoint of a teacher or counselor. They complement the information that is provided in your transcripts and what you personally add to your application. 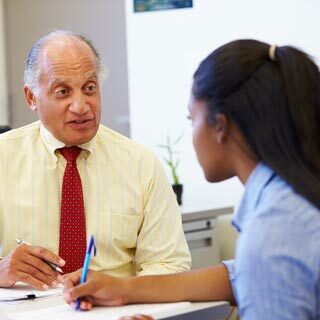 Who you ask for a letter of recommendation depends on what classes you did well in, what type of student you are, and your prospective school’s requirements. There are two types of college interviews: one that benefits mainly you, and one that is intended to help the college make an admissions decision. It sounds scary, but both types can be very beneficial. You’re showing your interest in the institution either way, and you’re helping the school put a name to a face. An honest conversation with an admissions representative can tip the scales in your favor, provided you’re polite, mature, and make a good first impression.